The women boxing team of Assam Rifles have brought laurels to the force, the ‘Sentinels of North East’, won the 18th Senior National Boxing Championship held at Haridwar in Uttarakhand while bagging four gold and one silver medal. The 18th Senior Women National Boxing Championship 2018-19 was held at Haridwar from October 10, 2018 and concluded on October 14, 2018. The Championship was organised by the Uttarakhand Amateur Boxing Association wherein a total of 27 teams participated. 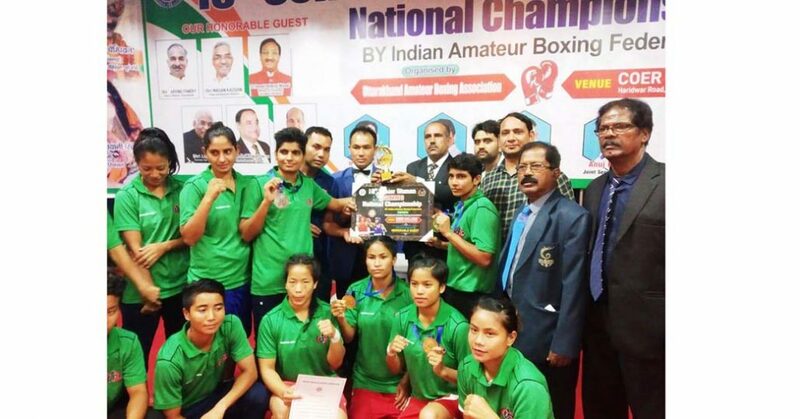 “The Women Boxing Team of Assam Rifles convincingly won the 18th Senior National Boxing Championship held at Haridwar, bagging four gold & one silver medal,” the Assam Rifles stated on its official Twitter account on Tuesday. It may be mentioned that the office of the Director General of Assam Rifles is located in Shillong. Meanwhile, the Wushu team of Assam Rifles also secured 8th position out of 38 teams in the 27th Senior National (Men/Women) Wushu Championship in Shillong and bagged three silver & one bronze medal.